Value education is the process that gives young people an initiation into the knowledge of the rules needed to function. The students learn to apply these rules intelligently and to have the settled disposition to do so. 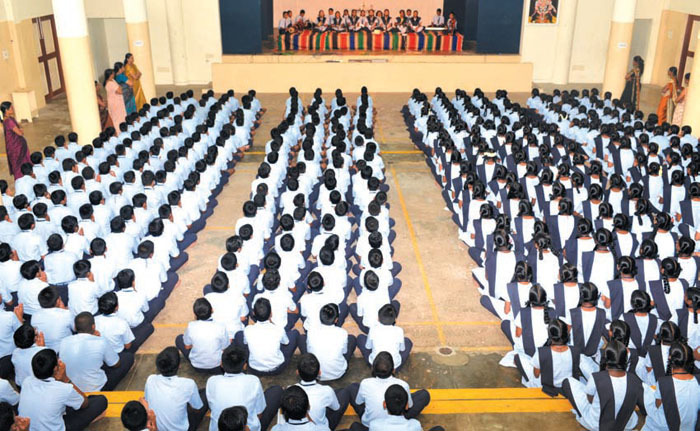 Personal values like excellence, honesty, self-confidence and punctuality, Social values like friendship, hospitality, patience and tolerance, Spiritual values like purity and devotion to God, Universal values like brotherhood, compassion, truth, and eternity and Cultural values like language, ethics and aesthetics are inculcated in students through Moral Instruction classes. Sloka recitation and Bhajan rendition are a part of such Moral Instruction classes.